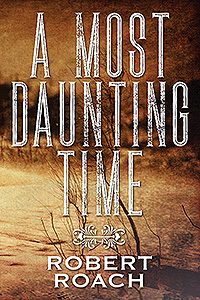 Robert Roach’s “A Most Daunting Time.” Fate has a way of evening out the odds. Melvyn and Sally settled in Kansas in 1919 and began farming and started a family. The Dust Bowl rendered them penniless. An aristocratic oil tycoon, Charles Clark, and his daughter lived quite well through these times. Little did both families know they would be brought together in unforeseen circumstances.